Electric Bike Vs The Bicycle - Who Comes Out on Top? It’s nearly December and Christmas is upon us, and unfortunately, so is the cold(er) weather that comes with the festive season. This got us thinking, besides speeding up your commute and getting you back in the warm in rapid time, what are the benefits of swapping your bike for an electric bike? And who will come out on top in the battle of the bikes? We think ebikes look a lot better than standard bicycles. With awesome designs, sporty features and futuristic digital displays, ebikes will get you noticed on the road and are something you’ll be excited to jump on each day, regardless of the weather. What’s more is that with the increasing uptake of electric vehicles, ebikes are sure to develop even further over the coming years – exciting times! As mentioned during the beginning of this blog, electric bikes get you to where you need to be far quicker than a bicycle, unless of course you possess the leg power of Chris Froome or Bradley Wiggins. 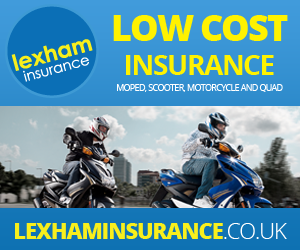 Many ebikes and electric mopeds can reach speeds of up to 30 mph, allowing you to keep up with other motorists on the road with ease and putting a few extra minutes back into your day. You can enjoy all the cost benefits of a bicycle with an ebike, while still getting all the enhanced features touched upon previously. Most ebikes don’t require tax or registration fees, you don’t need a license to ride one and they cost just 1p a mile to run – all this while getting places faster, looking better and without impacting upon the environment! 4. Chain or no chain? There’s nothing worse than riding your bike to work, to the shops or wherever it is you need to be and the chain coming off your bike. Ebikes are chainless and built for reliability – meaning you no longer have to worry about the fiddly, messy and time consuming task of sliding your chain back into place! There’s a clear winner here, the ebike of course! So, if you feel like you’ve heard enough and want to switch your bike for an electric model, take a look at our full range of bikes and scooters here – now with £300 until the end of the year!